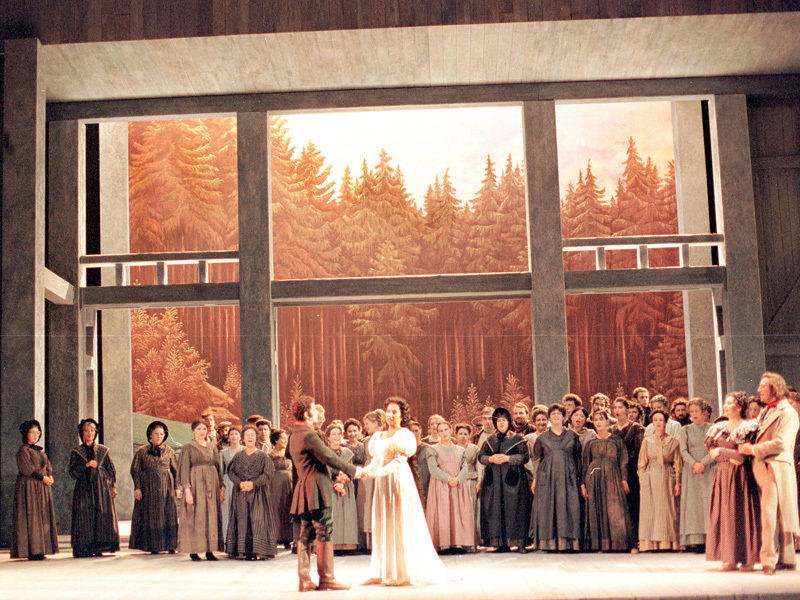 On 10-20 April the stage of the Regio will witness the return of La sonnambula by Vincenzo Bellini. Maurizio Benini conducts the Orchestra and Chorus of the Regio in this delicate music score enhanced by pastel hues. Stage direction by Mauro Avogadro. The fittings of the Regio create a suspended, rarefied setting that is at times only outlined or suggested, and where the only defined reality is the purity of Amina and Elvino’s song.